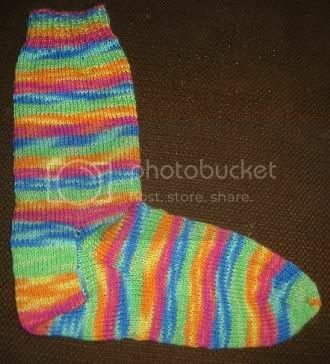 Lazy Seamstress: My First Sock!! 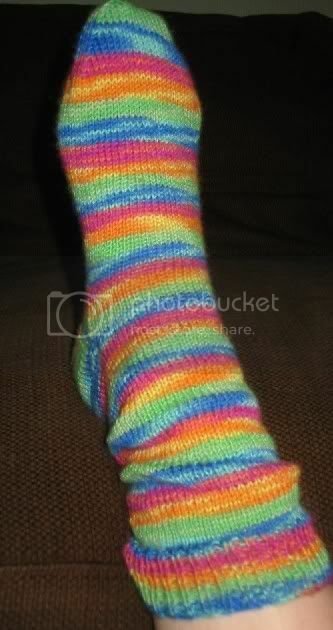 I finally finished my first ever sock! I bought this sock kit over two years ago,and finally started it just about two months ago. It's not perfect,but I think passable for my first try,and not nearly as scary as I imagined. Now to start the next one...this pair is for my daughter. She's 11 with size 5 feet!! yay, a first sock! I think it looks fine by the way, and once you've done one and realise it's nowhere near as hard as it looks, you're away.